Want the best? 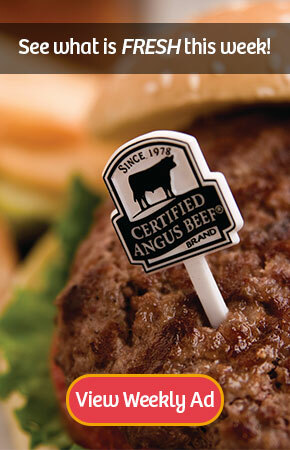 Try the Certified Angus Beef ® brand, only at Food City. When it comes to grilling steaks, some people are more serious than others. If any old cut will do, it doesn’t really matter where you go, but if you want the best steaks around, you want Certified Angus Beef ® brand, and you’ll only find it at Food City. Marbled flecks, found in Certified Angus Beef ®, melt throughout the lean of the meat as it cooks, giving it a distinctive flavor and setting your steak apart from lower grades. It’s an exclusive club, even for Angus. Few make the cut. 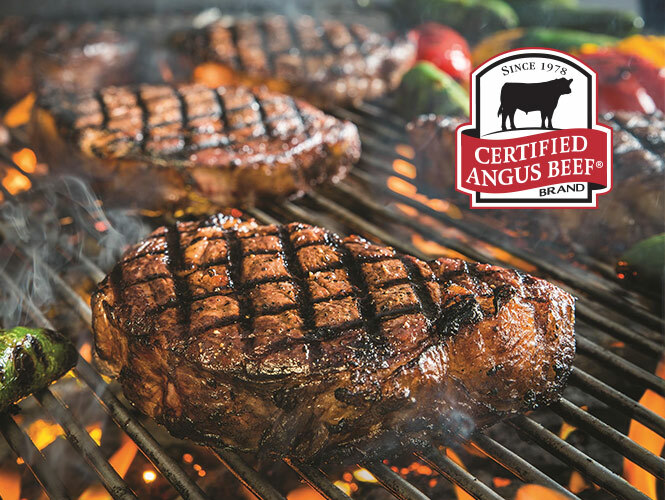 Angus beef has always been better than the average beef, but the Certified Angus Beef ® brand takes top-shelf beef to even greater heights. You’ve probably heard that only 3 of every 10 Angus cattle earn the Certified Angus Beef ® label, but did you know that each of these 3 animals must meet 10 distinct criteria for exacting, superior quality standards that have set the benchmark for the best in beef, since 1978? Meet Kevin, your local Food City Certified Butcher. Based in Kingsport, Tennessee, with 13 years of experience as a Food City Certified Butcher, Kevin C. is passionate about the perfect steak, which is why he’s proud to work at the only store in town offering Certified Angus Beef ®. Kevin loves helping customers with their special requests and cutting custom meats to order. When he’s not at work, he’s often grilling great burgers at home for his wife and kids, especially on game days. If you ask, he might even tell you his secret seasoning recipe.